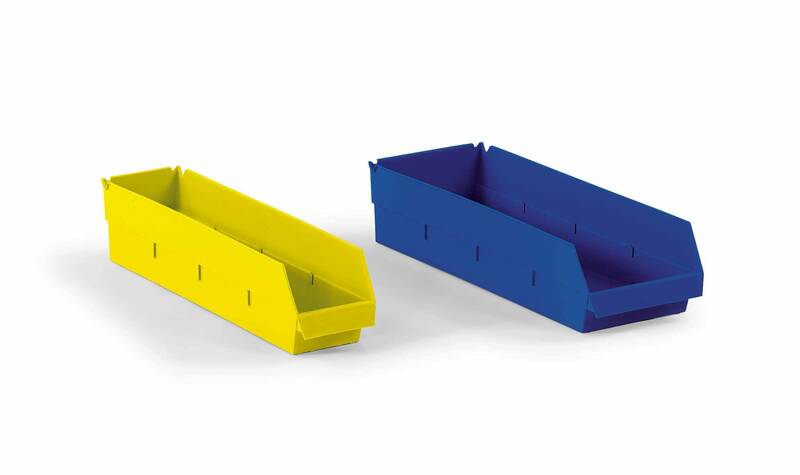 Shelf Bins help you get organized with Lewis plastic parts bins, boxes and storage containers for shelf storage in industrial and commercial applications such as parts rooms, store rooms, inventory control and much more. 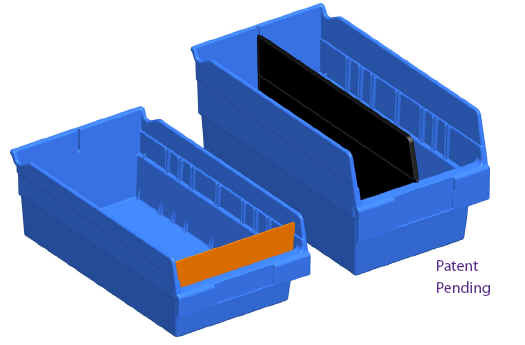 Long lasting parts bins and storage containers make organization easy! 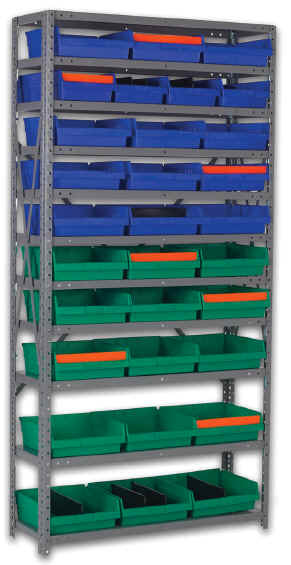 Plastic Shelf bins are made in a variety of colors for inventory color coding and greater storage system flexibility. that will not break down with time.These long-lasting polypropylene bins are available in industry standard sizes to fit 12" 18" and 24" shelving. Designed to work with 12", 18" and 24" shelving to enhance inventory control and part organization. Hopper front optimizes part accessibility. Bins nest when empty to save space. These products are also stocked in ESD-safe material. Our Top Selling Plastic Bin Selections Listed Below! enhance inventory control and parts organization. Hopper front optimizes part accessibility. Bins nest when empty to save space. Optional dividers: Left to right or front to back dividers available. Please call for pricing on Orange left to right dividers. Add 10% for Orange Kanban Dividers!! Stock Colors: Red, Dk. Blue, Yellow, and Green.